Crabs are perfect summer attire on little girls as well as being able to be worn for fourth of july. 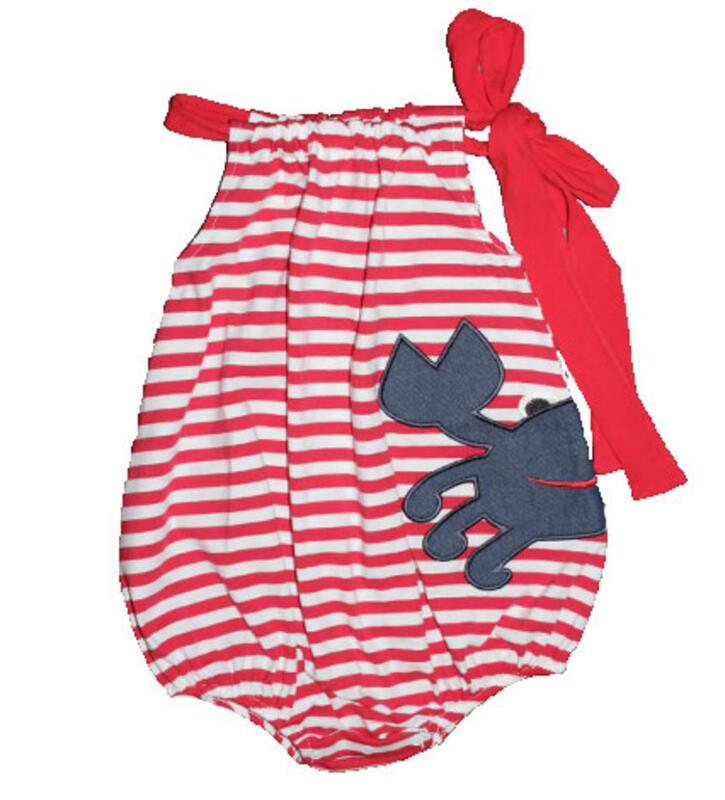 The red and white striped sleeveless bubble has a denim crab applique on the left side of the bubble around the waist and has an adjustable bow tying neckline. There is elastic on around the leg holes and snaps on the inside to accomodate a diaper change. 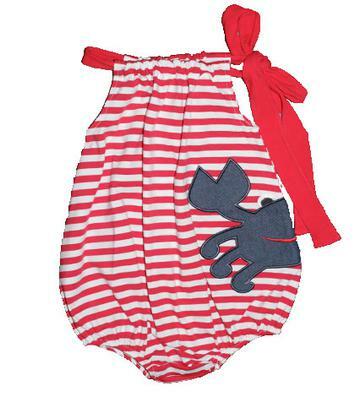 This adorable outfit is 100% cotton.